Boko Haram fighters abducted 22 girls and women in two separate raids in north-east Nigeria, residents and vigilantes said. In the first attack on Thursday, the insurgents raided the village of Pulka near the border with Cameroon where they kidnapped 18 girls. 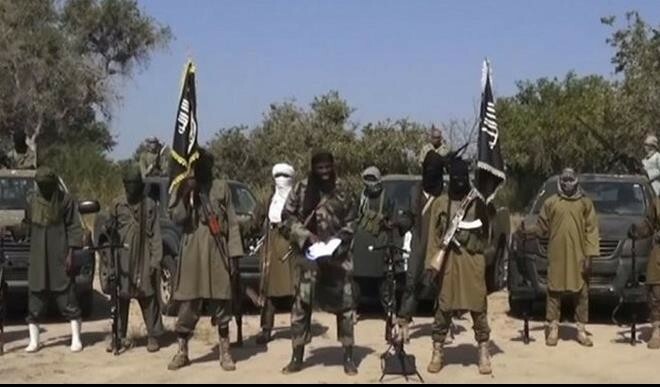 “Boko Haram fighters from Mamman Nur camp arrived in pickup vans around 6am and seized 14 young girls aged 17 and below while residents fled into the bush,” a Pulka community leader told the Guardian UK. Pulka is situated in a narrow strip along the Nigeria-Cameroon border in Gwoza Local Government Area which was once declared the centre of Islamic Caliphate by Boko Haram leader Abubakar Shekau. Also on Thursday, the terrorist killed a herder and shot dead no fewer than 50 of his cow for failing to pay ‘tax’ in an ‘occupied territory’ in Northern part of Borno State. 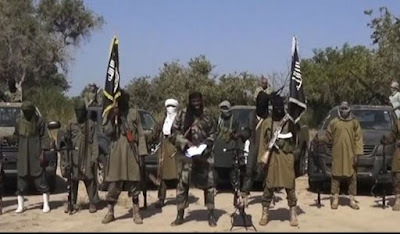 Though Nigerian security forces have repeatedly claimed they have uprooted Boko Haram elements in all known towns and villages in the North-East, sources said the insurgents are still terrorizing locals in Northern Borno communities, along the shores of the Lake Chad, forcing them to pay “taxes for protection” in addition to other extortions. The terrorists group, which claims to be fighting to establish an Islamic state, extorts monies from locals as ‘Jizya’ an Arabic word for protection levy paid by non-Muslims living in Islamic states. Witnesses and local vigilantes said on Thursday, the Boko Haram fighters in a village near Baga, in Kukawa Local Government Area, trailed the fleeing herder to Dumba, another village near the Lake Chad where they killed him. The herder reportedly refused to pay the protection money and instead, put together his wives, children, large herd of cow and other belongings and set to flee. Tukur Mahe, a local in the area said when the terrorists visited the field where the herder lived with his family for the usual collection of the tax, they found him missing. “The Boko Haram tax collectors met an empty place because the man left at night, probably because he was tired of their extortion,” he said. “Out of anger, they followed the footsteps of his herd and family members and finally tracked them to Dumba and slaughtered him and his cattle. They also abducted four women from his family, took away some foodstuff and the rest of the cattle,” he said. Meanwhile, the spokesperson of the Nigerian Army, Brigadier General Sani Kuka Sheka Usman, has denied reports of the abduction, describing it as “false”. “The attention of the Nigerian Army has been drawn to a news story circulating on Social Media and some mainstream media that suspected Boko Haram terrorists have allegedly attacked Pulka and abducted 22 women, attributing it to an unidentified Bulama as source.